1899 Indian Head cents are very common and are frequently encountered in mixed-date rolls and bags of Indian Head cents. They’re also easily found at most coin shops that handle 19th- and 20th-century U.S. coinage. 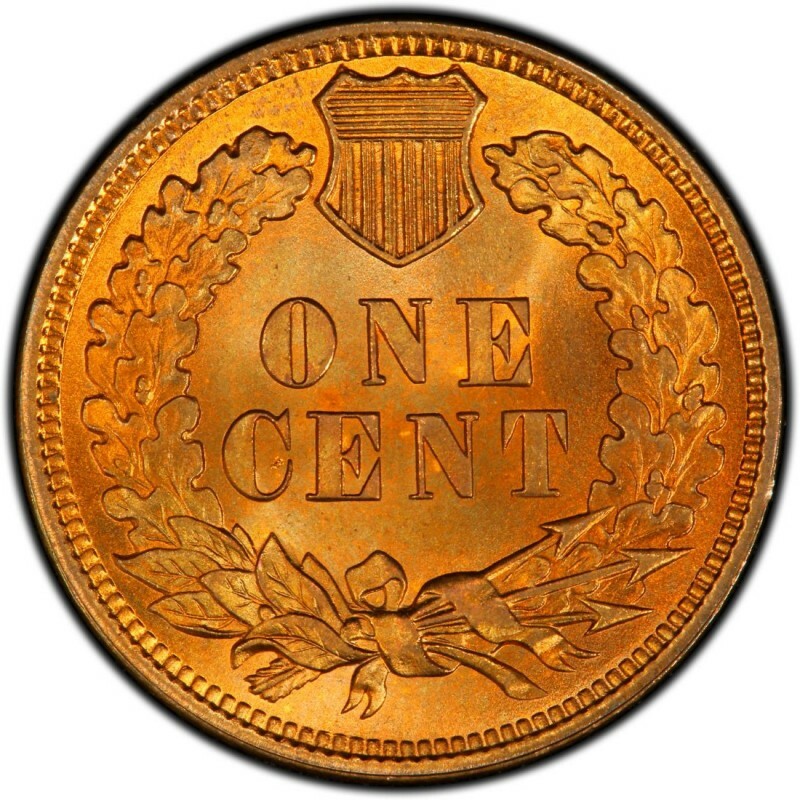 Coin collectors often pursue 1899 pennies for type sets. These coins are also often bought by collectors who are attempting to complete a collection of Indian Head pennies. 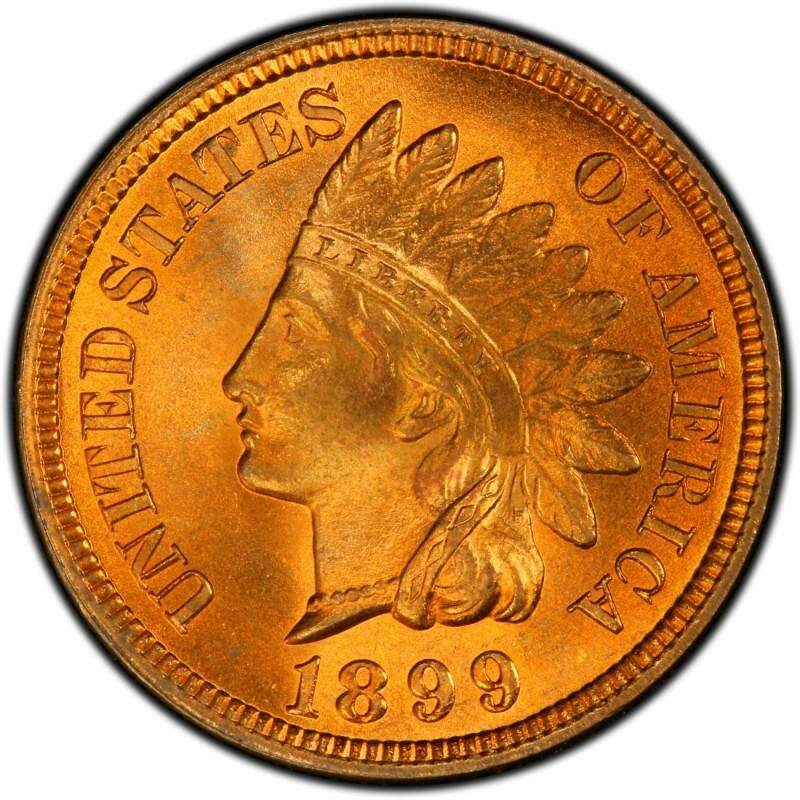 1899 Indian Head pennies are also pursued by those who may not necessarily consider themselves coin collectors but nevertheless want an inexpensive example of this classic American coin. 1899 Indian Head cents were made in large numbers, with 53,598,000 business strikes made. Examples of these coins in a grade of Good-4 retail for $2. In addition to the 53+ million business strikes, 2,031 proof specimens were made, and these retail for $1,275. James B. Longacre designed Indian Head pennies. However, an “Indian” doesn’t actually appear on this coin at all. The figure on the head of the Indian Head penny is that of Miss Liberty, who, for this design, was based off a sketch of Longacre’s daughter, Sarah. The story goes that a traditional tribal headdress was playfully placed on her head by a Native American chief, and the scene was sketched by the designer so he could show a representation of the scene to his wife.